Search Engine Optimization (SEO) is a complicated process encompassing all of the services that increase a website’s search engine ranking. 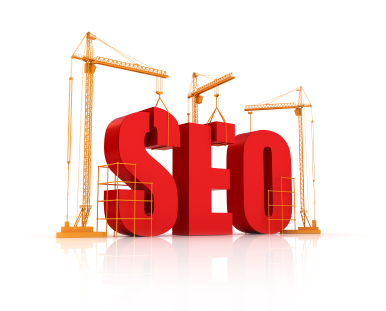 Typically, SEO is geared towards increase a site’s organic search engine ranking. Since Google is by far the most used search engine, our SEO is usually measured in Google’s SERP. The objective of Search Engine Optimization campaign is a goal conversion for the targeted traffic. SEO is very specific to every business and every industry. In fact there are specialized SEO for different industries such as Dentist SEO. We are located outside of suburban Philadelphia, near Wilmington Delaware. The majority of SEO strategies are for the Wilmington Delaware area. We use many local resources to gain your Wilmington Delaware area business visibility in organic Search Engine results. Our organic Search Engine Optimization goals will be to get your website more online leads. And not just MORE leads, but better qualified leads. SEO techniques are generally guarded, so we will not post exactly how we increase your online presence. Organic Search Engine Optimization is also typically a long term process that takes several months. We will work with you to put together a plan based on your budget and goals. SEO is a highly scalable service, campaigns can be done for as little as $300, and some can spend as much as $10,000 / month. There are many ways to increase your Return On Investment (ROI). Our EJ Host organic Search Engine Optimization strategic services typically include: Creation of an inbound and outbound link swapping campaign to increase relevant keyword traffic; Optimization of all pages on your website, including images and other media; Listing of any and all vertical search engines in your industry; Free and paid directory inclusion; Keyword research / long tail keyword campaign; Analytics software installation to track results; XHTML / CSS updates to site; Site architecture modification; Increasing the Community aspect of the site; Domain Name research; and Improvements to Web 2.0 / Site interactivity. Although we have worked with companies across the USA, we concentrate our efforts on small to medium sized businesses in the Philadelphia Pennsylvania, Cherry Hill New Jersey, Wilmington Delaware, Newark Delaware & Rehoboth Beach Delaware area. How Effective is Your Website if No One Can Find It? Let’s say you have the best website in the world built in Flash. If the developer doesn’t know how to properly tag the site, it will be completely invisible to search engine crawlers. Even with a regular html site, you can lose a lot of traffic if it is poorly tagged and optimized. We at EJHost.com will website design. SEO means Search Engine Optimization. Have your site analyzed and a proposal put together for FREE! Just use our contact form and send us your site name and some background about your business. Together we can put together a plan of SEO your site and to increase your online presence. EJHost’s SEO services typically start around $700, however it is possible to focus on parts of SEO for much less. We will work with any budget and have put together many successful campaigns for varying budgets. Make sure you mention you saw our special. We are Website Design / Hosting / SEO Experts, let us help you expand your business today!